EPW043590 ENGLAND (1933). 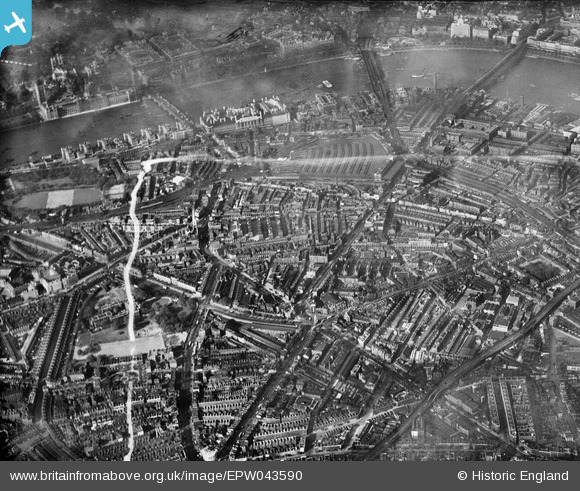 Waterloo Railway Station, St George's Circus and the South Bank, Lambeth, 1933. This image was marked by Aerofilms Ltd for photo editing. Title [EPW043590] Waterloo Railway Station, St George's Circus and the South Bank, Lambeth, 1933. This image was marked by Aerofilms Ltd for photo editing. Christ Church, Lambeth/Lincoln Memorial tower.